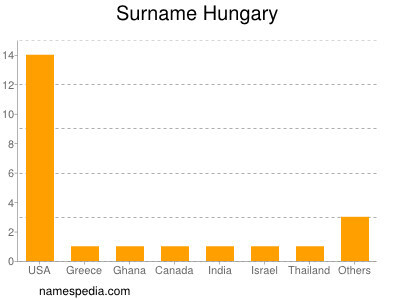 We have no records about Hungary being used as firstname. De achternaam Hungary wordt minstens 23 keer gebruikt in ten minste 10 landen. 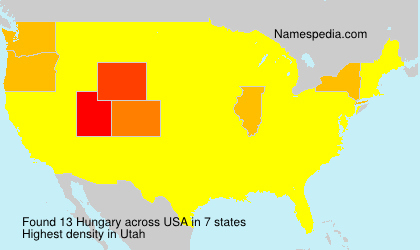 Boeken: "Hungary" "MODERN HUNGARY" "Hungary (Eyewitness Travel Guides)" "Hungary (Countries)" "Hungary (Welcome to My Country)" "Hungary today" "Hungary 1956"